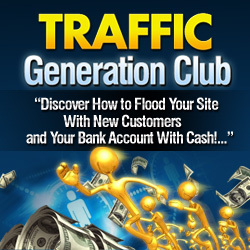 You are here: Home / Make Money Online / How To Generate Free Traffic Starting Today! In the offline world, you either have the budget to attract customers or you don’t. It’s impossible to get a steady business going without a storefront, an inventory, and a little advertising to get the word out. But if you’re an affiliate marketer and you need traffic, but don’t have the resources to bring it in, you don’t have to give up hope. The competition isn’t as fierce as you might think. There are plenty of people trying their hand at affiliate marketing, but when you narrow it down to a single niche, and narrow it further to marketers that are willing to put the work in right now, and you’ll often find that you can make a big splash without a lot of competition. So the only question is, how do you get started? What better way to show off your expertise and skill than helping out people who need it? One of the best things about spending time on message boards is that it the advice you give stays there forever, so searchers down the line will always be able to find it – and your affiliate website. In the same way that forum marketing gets you in front of specific people and lets you show off your knowledge, article marketing does the same thing, except you get to be more in depth and “ask the questions” yourself by raising compelling topics. The benefits of article marketing can be exponential, but it’s important to write more than a handful of articles – really dig in and write a quantity of things that are interesting. It’s the surest way to get your site backlinked by other places in your niche. Be sure to thank sites that run your articles with your link attached – you can find them by running a Google search for your own article or examining your incoming links and trackbacks. Remember that “good” information doesn’t always have to be a flat repetition of information, and you don’t have to just be “the answer guy”. Whenever you need to stand out, or you feel like you’re in a boring niche, think of some ways to create interesting related content than people will share. Maybe it’s a funny graph, a picture, a video, or article. Sometimes entertainment and gossip can spread the word about your website better than a dry bit of information can. Social bookmarks offer an amazing combination of high traffic and authority, and search engines love seeing that you’re getting some traction on these social bookmarking sites. They attract people every day, and lots of them are in your niche. Sign up for these sites, and don’t just bookmark the main site – bookmark the individual pages on your site to pass some backlink juice on. It’s a smart idea to use proxies so that these bookmarks aren’t seen as coming from one person, linking to other sites and authorities in your niche to increase authenticity, and rotating the sites you use to bookmark everyday so that you get traffic from multiple sources – search engines love this stuff. With a little effort and consistency, you can bring some serious impact to your link building efforts without spending a dime. Get started as soon as possible!